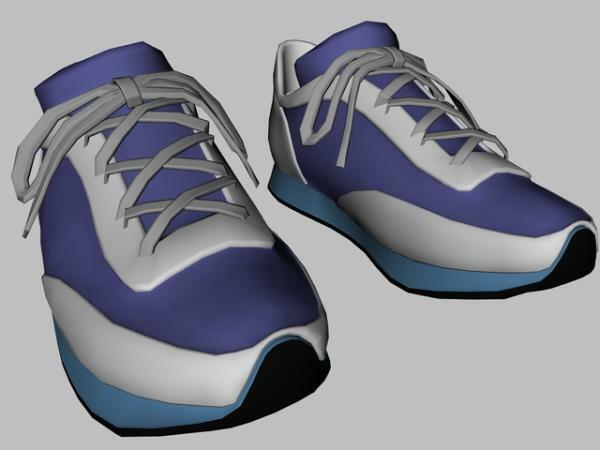 Runtime\libraries\character\Amy\A3SportShoeL.cr2 - Sport Shoes (Left) in Poser cr2 format. Runtime\libraries\character\Amy\A3SportShoeR.cr2 - Sport Shoes (Right) in Poser cr2 format. Runtime\Geometries\Amy\A3SportShoeL.obj - Sport Shoes (Left) Model in OBJ format. Runtime\Geometries\Amy\A3SportShoeL.mtl - Material Library for Sport Shoes (Left). Runtime\Geometries\Amy\A3SportShoeR.obj - Sport Shoes (Right) Model in OBJ format. Runtime\Geometries\Amy\A3SportShoeR.mtl - Material Library for Sport Shoes (Right). Templates\Amy\A3SportShoes.jpg - Template for texture. A3SportShoes.ds - DAZ|Studio Materials Preset. - Load Amy for Aiko3 or Aiko3/Aiko 3 LE character in DAZ|Studio. - Load A3SportShoeL.cr2 in DAZ|Studio. The application may prompt for the location of the files. Locate the file manually if required. - Select the A3SportShoeL, then execute the A3SportShoes.ds to apply the materials. The application may prompt for the location of the files. Locate the file manually if required. - Load A3SportShoeR.cr2 in DAZ|Studio. The application may prompt for the location of the files. Locate the file manually if required. - Select the A3SportShoeR, then execute the A3SportShoes.ds to apply the materials. The application may prompt for the location of the files. Locate the file manually if required. - It is designed for Amy for Aiko3 (October 25, 2007) release. It should work with the Aiko3 based character. - The template is for both left and right, the right one is the mirror image of the left one. Rated 5 Stars with thanks! Thanks. Have you ever considered making these great shoes for Maddie/Matt, Mil. or K4? ducenickels (7 years ago) Inappropriate? Thank you. These are great running shoes. Where is the six inch spikes? :) they're great thanks!